While last night’s Federal Budget is still being picked apart, it seems that Defence will be funding the lion’s share  of the new cyber priorities announced as part of the recent Cyber Security Strategy. Of the $230 million announced as part of the Strategy, money reallocated from Defence will cover $122 million. A further $38 million was already committed as part of the National Innovation and Science Agenda, and the remaining cash comes from nine other portfolios. Defence will get $51 million of this money back to fund the relocation of the Australian Cyber Security Centre. The World Summit on the Information Society forum (WSIS) has gathered in Geneva this week for its annual dialogue. WSIS, organised by the ITU , UNESCO , UNDP  and UNCTAD , is the ‘largest annual gathering of the ICT for development community’ . The 2016 forum is focusing on how information technologies can facilitate the implementation of the UN’s Sustainable Development Goals, with participation from representatives of government, the private sector, civil society, academia and international organisations. The forum wraps up on 6 May, so check in next week for some analysis of the outcomes. It was at last year’s WSIS preparatory meeting that India declared its support for multi‑stakeholder governance of the Internet , which seeks to give governments, the private sector and civil society an equal voice in decision-making related to the Internet’s governance. India previously advocated a multilateral approach , under which governments operating through institutions like the UN are the ultimate decision-makers. However the communique  from last month’s Russia–China–India foreign minister’s meeting makes it seem that India has now either jumped back on the multilateral bandwagon, or the two ministries responsible (External Affairs, and Communications and Information Technology) are pushing separate agendas. While the communique is filled with boiler plate language of the kind that Russia and China are well known for, for India it continues a history of indecision on this important issue . Russia and China also held their first bilateral ‘Cyberspace Development and Security Forum’  on Wednesday last week. A significant part of the agenda was devoted to discussing the reliance on foreign IT firms and exploring possible ways to reduce the exposure to this ‘hidden danger’. One suggestion  that China’s Cyberspace Administration had previously made was for the government to buy a financial stake in Chinese IT firms and take a seat on their boards. The University of Sydney’s Quantum Control Laboratory ’s researchhas been boosted by a grant of an undisclosed sum from the US Intelligence Advanced Research Projects Activity , an organisation within the Office of the Director of National Intelligence. Across town, UNSW received a $26 million boost from the National Innovation and Science Agenda  earlier this year, making Sydney an emerging centre for quantum computing research. In Thailand, one of eight dissidents arrested by the junta last week  and charged under the country’s Computer Crimes Act for lèse-majesté , has claimed that the police showed him screenshots  of his Facebook Messenger chats during interviews. While it seems the dissidents believed they were safe using Facebook, Facebook’s messaging service is encrypted between the user’s device and Facebook , rather than being encrypted end-to-end, which means Facebook can provide private messages to a government if required by law. The Thai junta has been engaged in a struggle with activists  online since the 2014 coup, and has previously requested help from service providers including Facebook to filter content that opposes the junta, and once briefly blocked Facebook access  in the country. And finally, several months after Wired  pointed to Australian businessman Craig Wright as the hitherto unknown founder of cryptocurrency BitCoin has confirmed  that he indeed created the cryptocurrency and the blockchain  technology behind it. 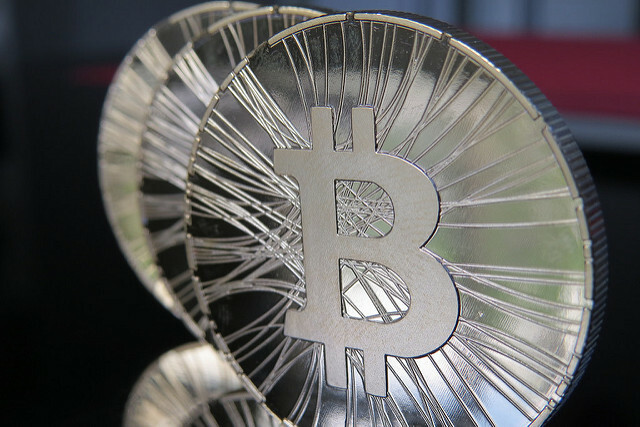 Some currency experts have expressed doubts  about Wright’s claim, which he attempted to prove by using digital signatures known to be owned by BitCoin’s founder, but doubts remain . While Wright’s leadership may help resolve a row over between the BitCoin community  over how to expand the currency, he may be hesitant to undertake such a role. Liam Nevill is an analyst in ASPI’s International Cyber Policy Centre.